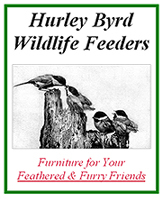 Hurley-Byrd: About Us Page Hurley-Byrd Bird Feeder Co - Who are we, where did we come from? 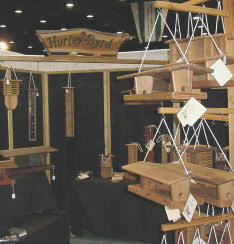 The Hurley-Byrd Bird Feeder Co. was conceived, established and built from a dream of Peter Hurley. When Peter was just five years old, his mother taught him the most important lesson of his life. She instilled within him the values of nature and all of God’s creations. At this age Peter's first "chore" was to take care of feeding the wild birds on their large dairy farm in Upstate New York. This so called chore was a highlight of Peter's life and he has never stopped appreciating the value of Mother Nature. Through his teens, Peter was very active in the outdoors. He was camping, hiking, hunting, etc... all the normal country boy activities. Peter was always studying wildlife and nature in an attempt to learn as much as he could in order to bring the wildlife he loved closer to his home. From this, Peter learned all the different birds by sight and sound, taught himself the different animal traits and can even tell what creatures had visited by the marks or evidence left behind. 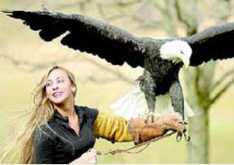 Throughout Peter’s life he has been involved with birding and wildlife feeding in some manner. Peter explains: "There has never been a place I lived that was not surrounded by wildlife. 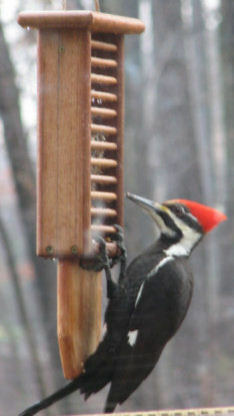 There has always been and always will be a bird, deer or wildlife feeder (if not 6, 10 or 12) around my home and now my business." Over the years, Peter had bought, rebuilt, fixed, and redesigned about every feeder on the market to suit his needs or curiosity. In short, he found so few truly good feeders on the market and started designing and constructing his own for around the house. Soon, family and friends started coming to Peter to have their own needs filled. They would tell him what their situation was and he would come up with a new idea or a better feeder to suit that need. 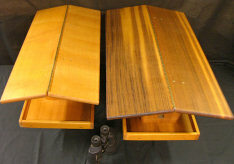 Over time, Peter solidified his scope of design and started to work on the quality aspects of his feeders. Peter states "There are so few great feeders on the market any more. Every business needs to make money but it has become the driving force behind nearly all businesses in this country. The thought of making a quality product before all other aspects has gone to the wayside, even in the birding business. There are a few excellent feeder manufactures but the majority still do it wrong or for the wrong reasons. I decided it was time to make a difference in how people look at feeding wildlife. I’ve taken my years of wildlife feeding, feeder designing and incorporated my corporate experiences in manufacturing, purchasing, organization and meshed it all together to produce an excellent product at a price with superior value." "Everywhere a person goes here in West Virginia, they are up close and personal with nature. The majestic mountains, the serenity of babbling brooks, heart felt warmth of each person that calls this state home." Peter was instantly drawn back into the world he loved and missed so very much and after five years he knew it was time to truly "return home" to the importance of what his Mother taught him years before. Peter left the corporate world to pursue his true love, nature. world are enjoying the finest feeders available. We are excited to note that Hurley-Byrd feeders now grace homes, businesses and governmental institutions in all 50 United States, each of the southern providences of Canada from British Columbia to Nova Scotia and several European countries. penetrating oil finish to coat enough lumber to cover 4 football feilds. treats you as a human being. cumbersome to manage appropriately unless we chose to relocate, build a bigger facility, hire more people, etc... AND, we had no desire to ascend to this new level. their customers are speaking to machines and accepting lower quality products. which cannot be purchased at other companies. Hurley-Byrd is here to serve you, our Customer. Each of us is fully aware there is No Hurley-Byrd with YOU, our customer. fully understand the importance of the customer. 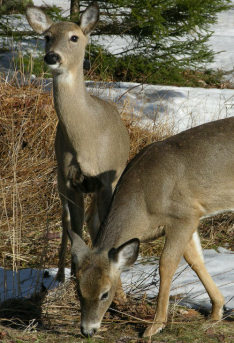 other wildlife, write or call and we will be glad to help a fellow nature lover. order your own Hurley-Byrd feeder today. We guarantee you will love them as much as we do.